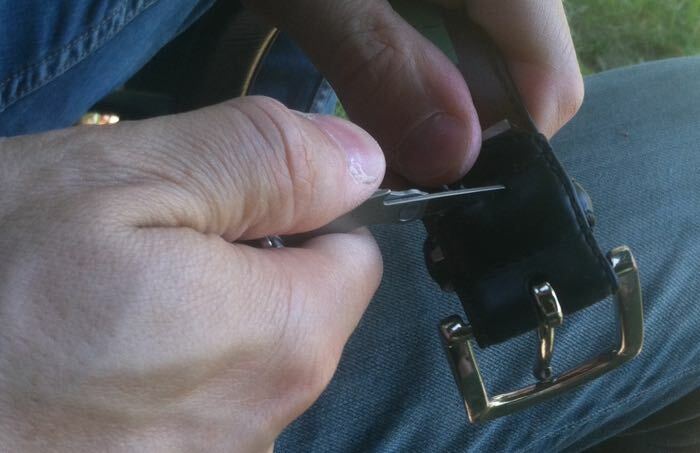 I recently started wearing a Leatherman multi-tool on my belt. 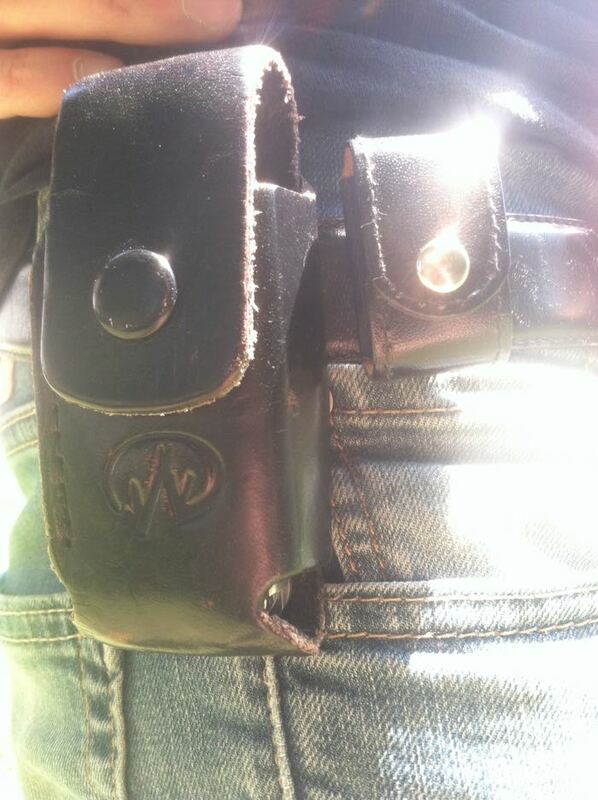 The Leatherman came with a holster. So now when I’m waiting in line at the store, people are probably thinking, Watch out…this guy’s packin’ tiny scissors and a miniature saw! Which got me wondering, How can I look even less cool? 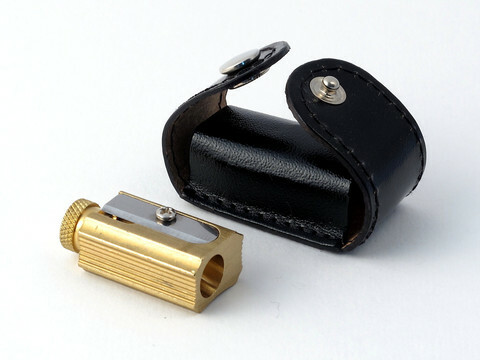 First, get a pencil sharpener that fits in a pouch. Dux makes this little brass job. It’s hefty for its size, has great knurling, feels super between your fingers, and is adjustable–for three degrees of pencil pointedness. 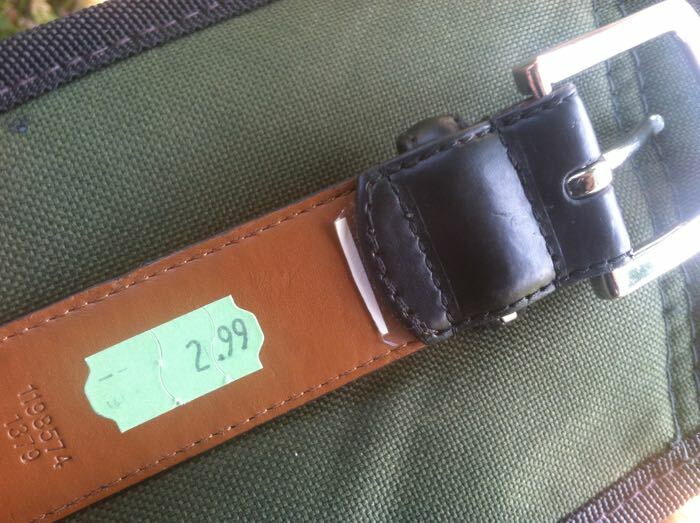 And, look, it comes with a small leather pouch. 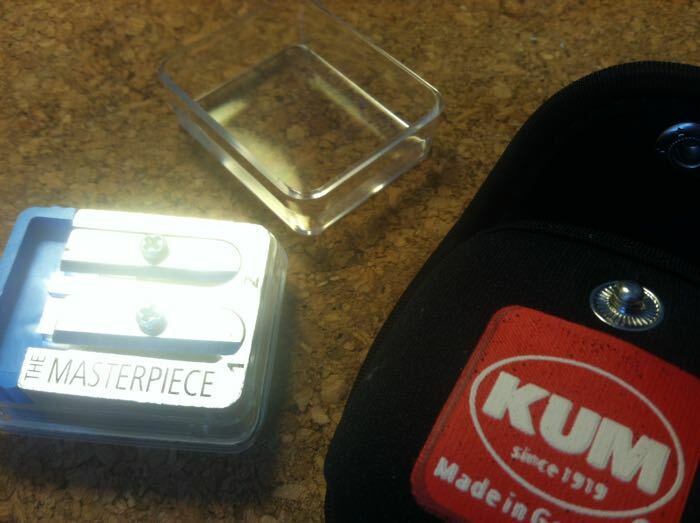 And Kum just came out with this marvelous two-stage sharpener called The Masterpiece. It’s made of magnesium, which is shiny. And the “stop” is removable, so you can strip the wood off almost an entire pencil’s worth of graphite, or you can make your pencils insanely sharp. In any case, this one comes with a cloth pouch. Next, go to your local thrift store and get an extra belt, one with a loop that fits the belt you intend to wear your sharpener on. You won’t be using the extra belt, just its loop. 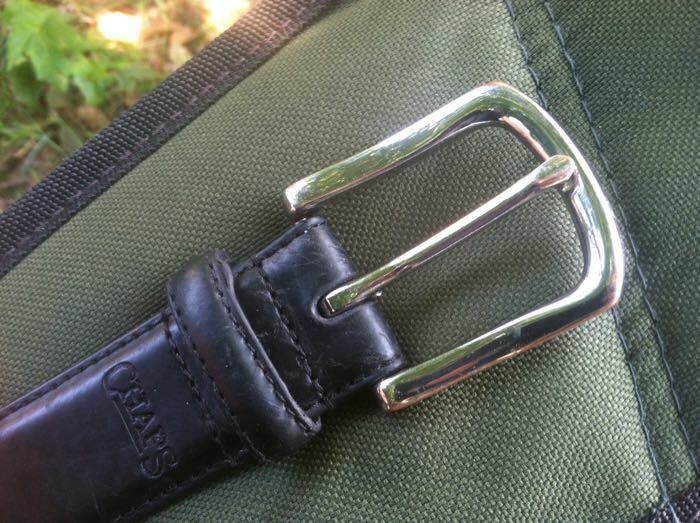 Make sure it has a complete loop, and try to find one with a loop that will fit snugly on your soon-to-be-utility-belt. You don’t want your sharpener drooping or sliding around on your waist. That really wouldn’t be cool. Talk the cashier down to 99 cents if you can. Cut the loop free with your tiny scissors. 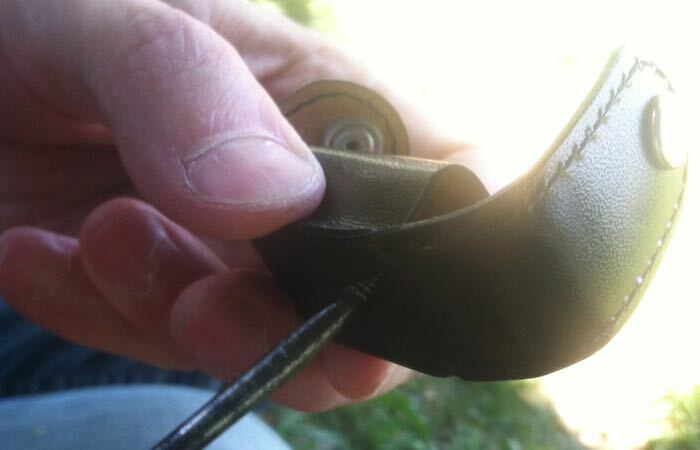 Using an awl, make some holes in the loop. The holes will enable you to sew through the loop, which is rather thick. Get an awl at a thrift store. 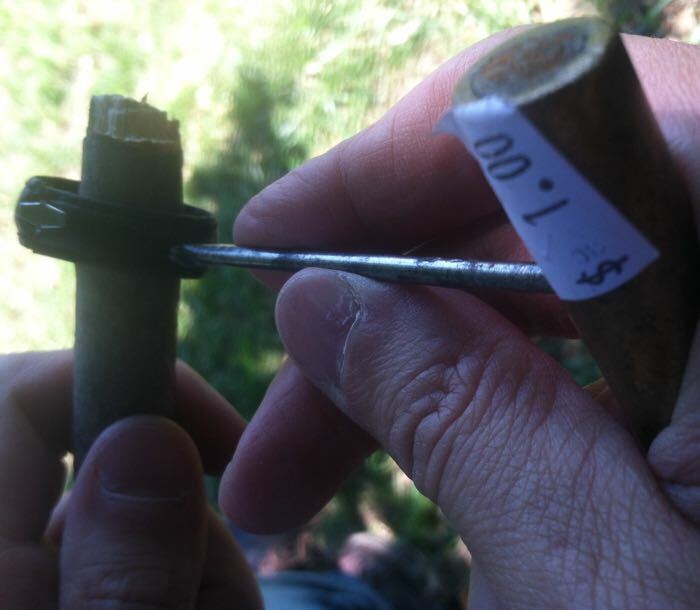 If you’d rather not poke holes in your fingers, use a stick to hold the loop. 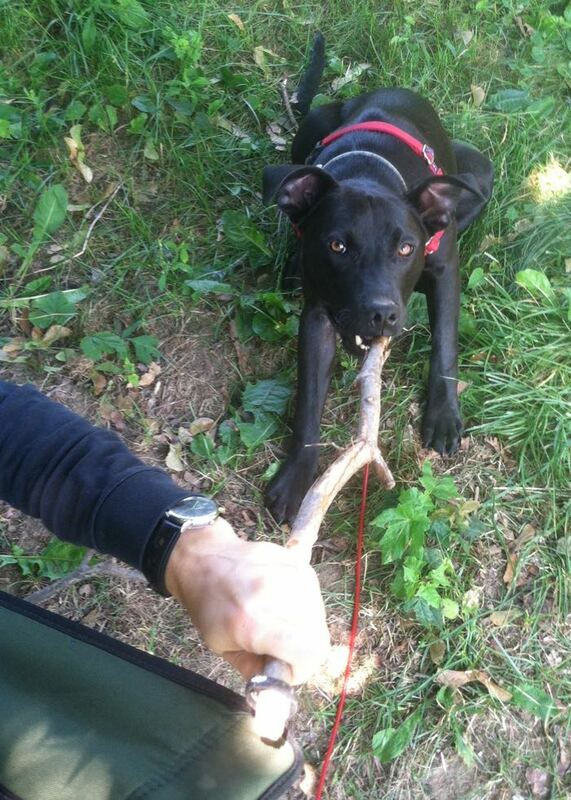 Get a stick off the ground, not off a tree. When using sharp tools, keep your work area clear and free of distractions. If necessary, make some holes in the pouch as well. 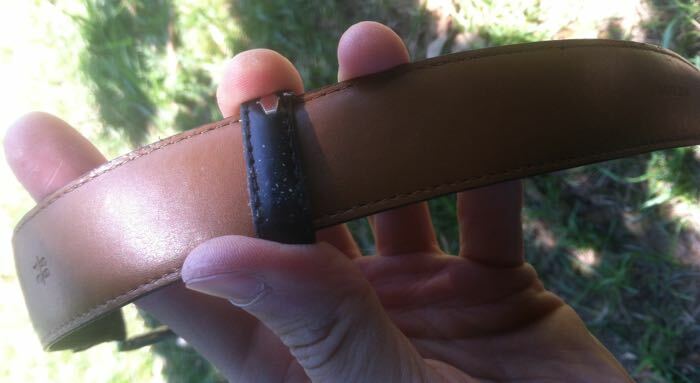 The leather used for the DUX pouch is crumbly, so be careful. 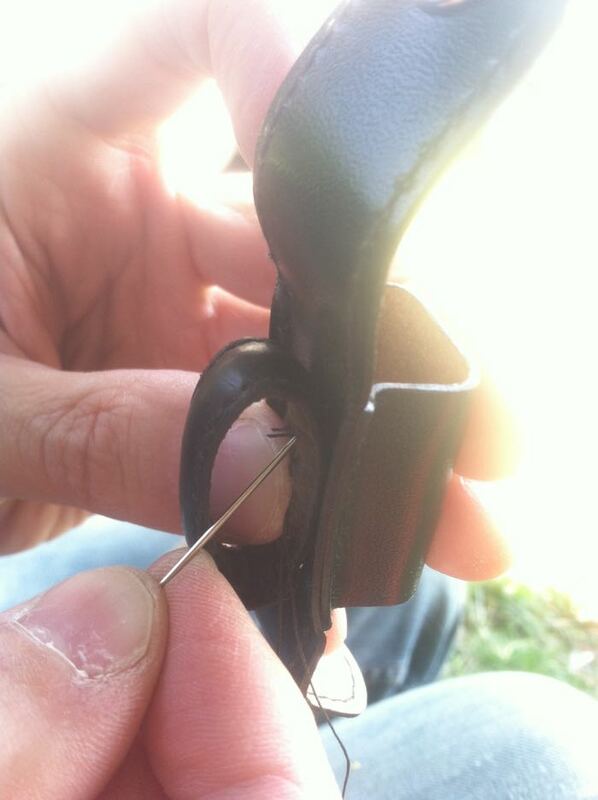 Stitch through the holes a bunch of times, fastening the belt loop to the back of the pouch. I used upholstery thread, which is very strong. 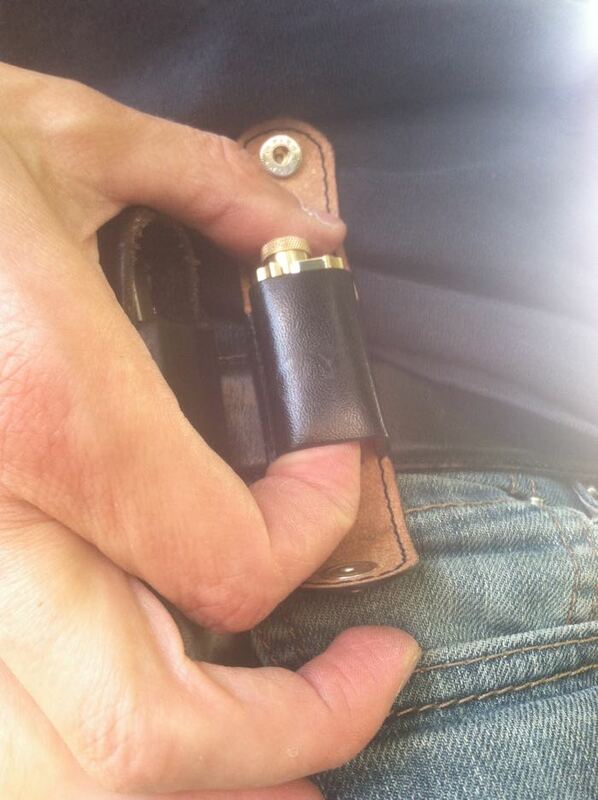 Now you have a pouch with a belt loop attached. 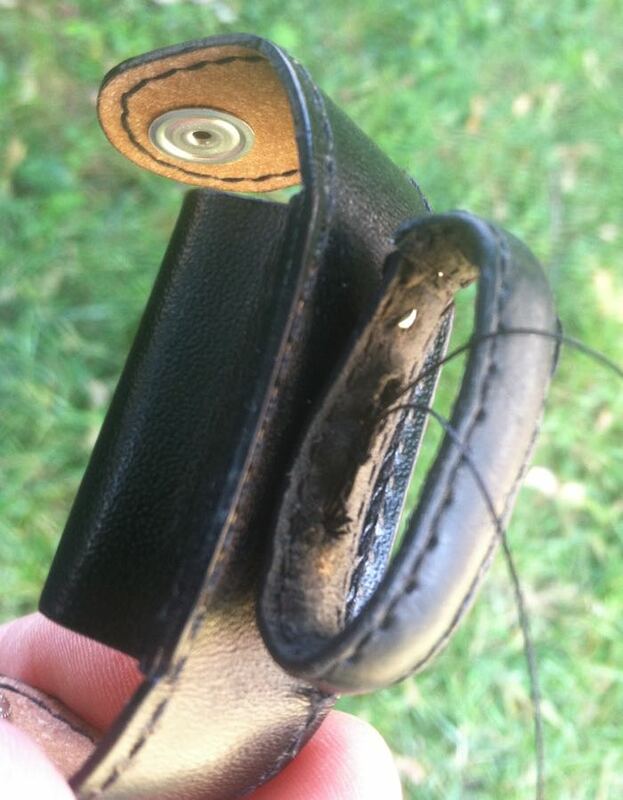 Trim the threads and put the finished holster on your belt! Watch out, this guy’s packin’ a miniature saw and an adjustable pencil sharpener! Ready for a shootout with David Rees. Seriously? I’d like to at least *see* “The Masterpiece” sharpener. I’ll have Lucius Fox demo it for you. Amazing! It’s finally happening. Now you’re gonna get obsessed with pencils! What other pencil tools could be kept “on the person”? Hi Lawrence. This could be the subject of a 3 or 4 credit college course, for sure. Stay tuned for many more posts on the topic. I’m simultaneously jealous and ashamed that I’m jealous.